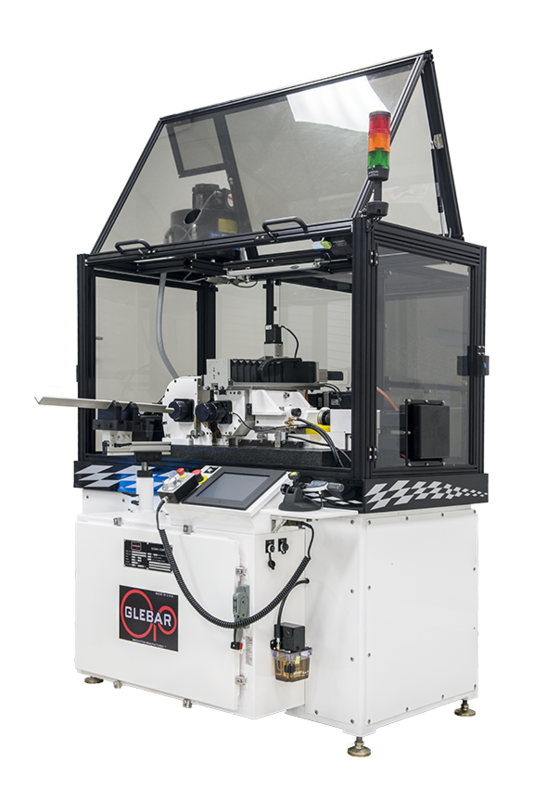 Glebar’s lights-out GT-610 Thrufeed Centerless Grinding System was configured with a conveyor, two sensors (pre-feed/post-feed), laser gauge and enclosure for safety. At the customer’s request, Glebar worked with two other companies to integrate the GT-610G into their existing automation and superfinishing line. The versatility of the machine control and flexibility of Glebar’s engineers allowed the integration of the line to become a reality with little effort. • HMI controls allow one-touch start/stop operation and the use of inline gauging with measurement data to be sent back to the machine for automatic adjustment to compensate for any wheel wear. • The parts line up into each other and travel down a conveyor as the first sensor initiates automatic feeding to the grinding system. The stainless-steel parts are thrufed into the centerless grinding area. 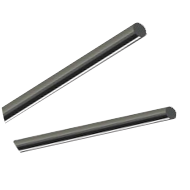 • At the exit point, there is a laser gauge that inspects the parts for geometric accuracy and any defects. They then travel past the second sensor, which counts the parts for automatic dressing. • The parts continue down the conveyor to be packaged. Stock removal of .021 was achieved in one pass with a diameter tolerance of .+/- .0002 and roundness in the 20 millionths range was reached.